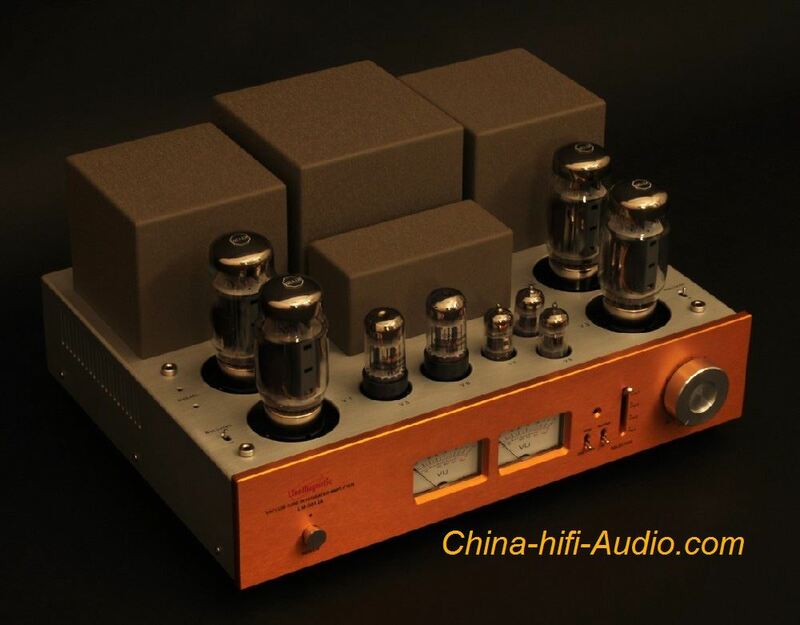 Line magnetic LM-501IA is an Tube Integrated Amplifier, it is a Power Amplifier too(there is a group Pre-in input to connect a preamp). One hundred watts per channel, Class AB Integrated Stereo Amplifier with KT120 output power tubes, 12AX7, 12AU7 and 6SN7 input tubes. 4 pairs of inputs and speaker terminals for 4, 8, 16 ohm speakers are located on the back panel. User bias control has been used for bias adjustment. Two separate meters for the Left and Right Channel have been built for monitoring. Specially designed EI transformers for power supply and two EI output transformers with wide bandwidth are applied. Japanese ALPS volume potentiometer, Multicap coupling Capacitors etc Audio grade of components have been applied.